Pick up a pack and surprise someone with a handwritten note! For details about our Events, see our Events page & calendar. “Poem in your Pocket Day” - Pick up a poem from us and share it! Click here for more info. We're here at 10 a.m. each Saturday, except holidays, with our Mind, Body & Spirit Classes. Check out the class schedule on our Events page here. We are so excited about the launch of The Nickel Boys by Colson Whitehead! You can pre-order your copy TODAY! Call us at (313) 832-1155 or email us to leave your name at sourcebooksellers@gmail.com; in the subject line put The Nickel Boys Pre-order and leave us your name. A new stock of Becoming by Michelle Obama is now available! We are excited that the BBC program World Book Café Detroit segment, which was recorded earlier this year at Source Booksellers, will air the weekend of June 23rd on the World Service. Here is the link to the broadcast schedule. In partnership with the Detroit Institute of Arts, we are pleased to present the video of our recent Making Home Community Conversation, based on the "Making Home" Exhibit at the DIA. You can view it here or click the picture below. We were so honored to host BBC's World Book Cafe in March, with a panel of awesome Detroit literary agents for a discussion on the Literary Life of Detroit. Please check out this article here in the American Booksellers' Association's BTW recent newsletter about this event. BBC World Book Cafe was short in Detroit on March 9 with Source Booksellers as host. This event was the third in the series - Berlin, Beruit and Detroit. The program is scheduled to be aired on BBC radio affiliates on March 28th. The Berlin program can be heard now on BBC World Book Cafe. Source Booksellers was thrilled to be a part of this unique effort, and share in showcasing our beloved community of Detroit. Check back for the link to our episode. ANNOUNCEMENT! Source Booksellers now sells digital audiobooks! Through a partnership with Libro.fm, we have an online audiobook store where you can purchase books that we, also carry in the store. To start buying and listening visit here or click on the picture below. The publication Shelf Awareness features a great article on findings from a Harvard Business School study about indie bookstores thriving. Read the article here. We are super excited to announce that our “Dawn of Detroit: A Chronicle of Slavery and Freedom in the City of Straits” Book Launch w/Dr. Tiya Miles is now available to view on C-SPAN Book TV. Tune in here. Book clubs that promote picking up books and reading them collectively with robust discussions. We'd also like to acknowledge The Detroit Study Club, a literary and cultural organization for women of color. Established in 1898, it’s the oldest African American Women's membership organization in Detroit, with a membership that spans multiple generations of Detroit-area women. The organization meets once a month at various locations. A display of the Centennial Award received from the State of Michigan, is currently housed at the Detroit Public Library Main Branch. Source Booksellers Recommends: Expand Reading Horizons! Alert! Alert! For bibliophiles! Check out LeVar Burton Reads podcast for some juicy stories for your ears. During the first week of August, we welcomed a visit from our neighbors to the South in Windsor, ONT, bookstore and publisher Biblioasis (link to website). They gifted us with two of their publications - Bookshops A Cultural History by Jorge Carrión, and Eleanor A Spiritual Biography The Faith Of the 20th Century's Most Influential Women by Harold Ivan Smith - and we gifted them with two of the titles we carry - Once in a Great City and numerous free publications that we carry. Check then out http://biblioasis.com. Source Booksellers is honored to be featured in Shelf Awareness, the website for Daily Enlightenment for the Book Trade. Check out the article here. With the release of the paperback version of Lawrence Hill's The Illegal, we were pleasantly surprised to find Source Booksellers' Janet Jones quoted in the Praise For The Illegal section in the front of the book! Source Booksellers made Huffington Post's list of 50 Of The Best Indie Bookstores In America. Check it out here - we're #47. Thank you to the American Booksellers Association for featuring Source Booksellers in its current newsletter. Read it here. 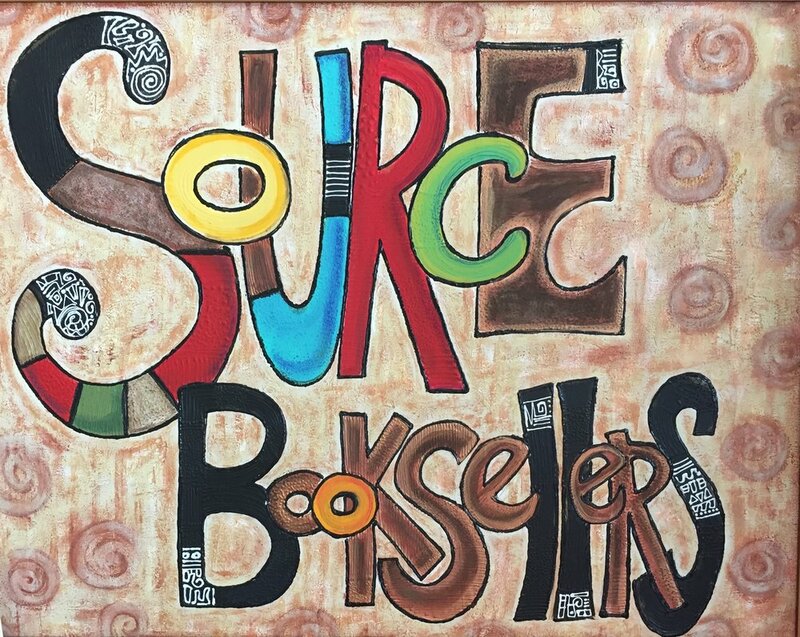 We're so thankful to the Detroit Bus Company for featuring Source Booksellers in its recent Behind the Counter podcast. Have a listen here. Source Booksellers was featured in the AARP magazine! Check it out here. As Ta-Nehisi Coates' Between the World and Me" continues to rise, hear from Coates in this interview with Robin D. G. Kelley here. Source Booksellers on the air & in print! Look for us in the new episode of The Heart of Detroit on WDIV- Channel 4, online at clickondetroit.com, mitchalbom.com, and theheartofdetroit.com. You can also find us listed in the Locals section of the beautiful new publication, Parkview. March 10, 2015 Janet Jones was featured on Michigan Public Radio's Stateside with Cynthia Canty. You can listen to it here. Metro Times - Check it out here. Natural Awakenings - Check it out here on page 12. Read the story here in Model D.
Check out the story here in Model D Media. The story, which you can read here mentions A Detroit Anthology, available in the store. Did you know indie bookstores are on the rise? Find out more here in this article from Slate Magazine. On Monday, Sept. 29, Source Booksellers' owner Janet Webster Jones had the awesome opportunity to be an on air panelist on WDET - 101.9's show Detroit Today "Aging Together" segment. Led by Laura Weber Davis, panelists included Randal Charlton, and Dennis Archambault. Listen to the podcast here. 'Encore entrepreneurs' add vibrance to Detroit's small business scene. For our customers who travel Woodward, the M-1 Rail Project is well underway. As you travel to visit us in Midtown and around the area, stay up-to-date with the construction project and traffic redirects here.